Named after and inspired by Partner and co-President Manuela Wirth, the new restaurant will focus on seasonal, soulful cuisine and will provide guests with a convivial, authentic experience where art, community, education, sustainability, discovery and food converge. Under the leadership of Chef Kris Tominaga, Manuela will serve sophisticated yet unpretentious seasonal dishes, created from locally-sourced and homegrown ingredients.<br><br>Determined by the seasons, the menu will highlight the artisanal techniques of pickling, fermenting and smoking in-house. Food will be prepared over an open fire and breads will be baked with locally-milled grains in homage to the building’s former function as a flour mill. Manuela will draw ingredients from its own on-site herb and vegetable garden.<br><br>Located at the heart of Hauser & Wirth, Manuela will serve as the ‘living room’, a central gathering space encompassing interior and exterior seating areas. 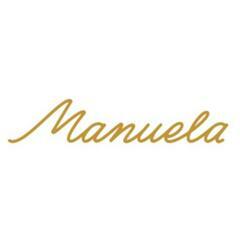 Manuela is posting their hospitality jobs on Harri. See what we’re all about.